Two activities that both of my children have always loved are reading and drawing. Whether at home or in the car, it doesn't matter. I was recently introduced to the DoodleMark that combines both of those desires into one fun, portable and convenient toy! It's perfect for those long car trips and provides hours of endless possibilities and fun. My children are 10 and 7 and they both love their DoodleMark. They draw pictures, play games, practice writing and even figure out math problems on it. Last week my 18 month old nephew was here and it was perfect for him to play with too. It really is a great item for children of all ages. Easy to use and perfect for small hands. 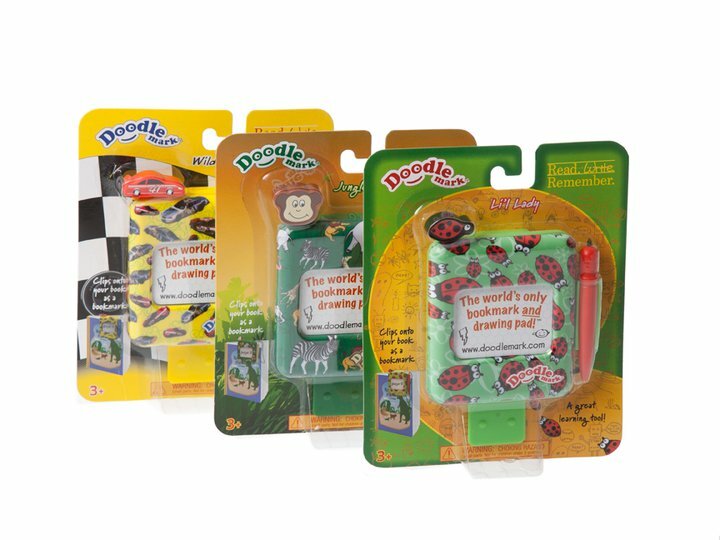 The DoodleMark comes is three cute designs; Jungle Fun, Wild Racer and Lil' Lady Bug! Not only is it the perfect item for any child, it also makes a great gift, party favor or stocking stuffer! 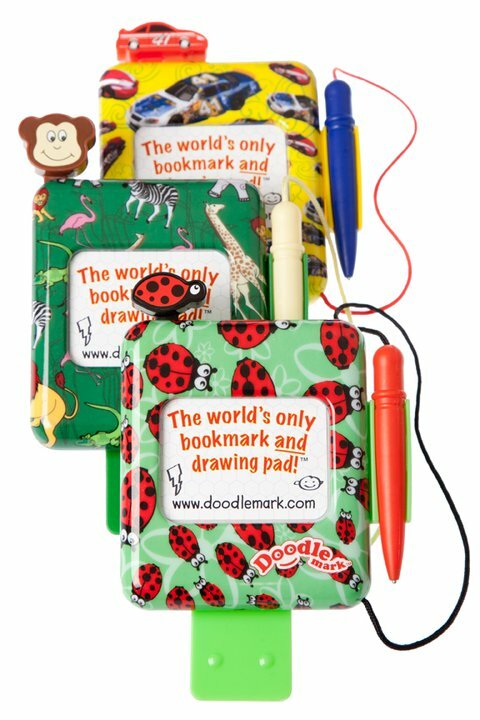 DoodleMark was named 2011 Product of the Year by Creative Child Magazine. You can purchase them at www.doodlemark.com or on Amazon.com for just $8. The DoodleMark is a new kind of bookmark that allows kids and parents to interact with books together, like never before. Whether practicing sight words together, working on vocabulary, drawing letters, bookmarking their progress or just doodling a funny picture - its all about creative learning and having fun. 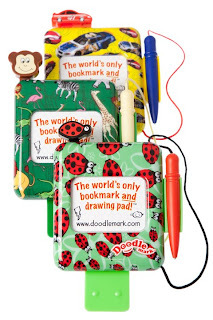 THREE lucky Being Frugal and Making it Work readers are going to receive a DoodleMark of Their Choice! 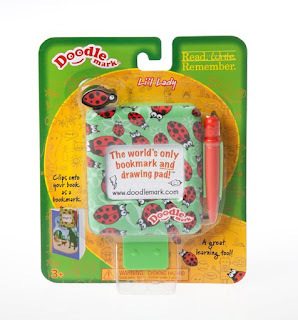 Visit DoodleMark and tell me something you learned about their product. **I received one or more of the products mentioned above for free. Regardless, I only recommend products or services I use personally and/or believe will be a good fit for my readers. The views and opinions expressed on this blog are purely my own. Results may vary. I was not compensated in any other way for this review. The generous sponsor of this giveaway will mail the prize directly to the winner. A special thanks to ReMarkable Reading Concepts for this wonderful opportunity! I learned that doodlemark will clip to any book! I learned that the Doodlemark made an appearance at the Craft & Hobby Winter Show. I visited them and learned - its all about creative learning and having fun. I learned that you can buy DoodleMark at Amazon.com! I learned that doodlemark is great for kid's imaginations!!! i learned it needs no batteries...yipeeeeeee!